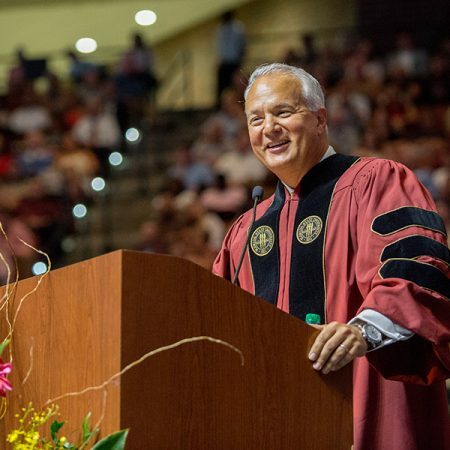 Florida State University made history this weekend by hosting four spring commencement ceremonies for the first time, offering graduates a chance to celebrate years of hard work and savor a sweet moment of success. 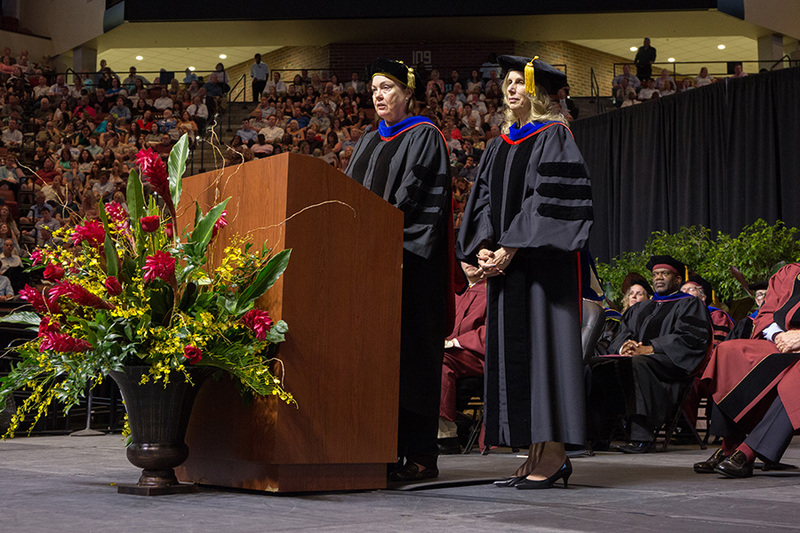 More than 6,400 students graduated this spring with over 5,400 graduates participating in the ceremonies held Friday, May 4, and Saturday, May 5, at the Donald L. Tucker Civic Center. 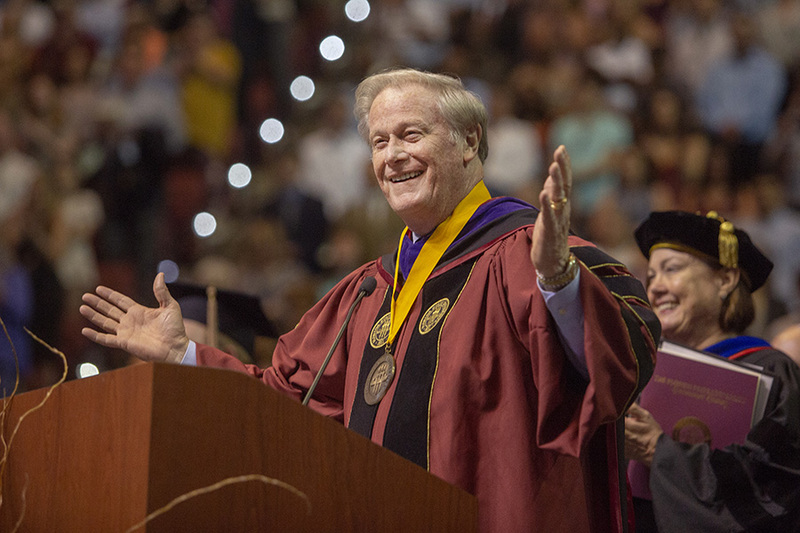 FSU President John Thrasher presided over all four ceremonies and introduced each of the commencement keynote speakers, who offered advice and words of wisdom for the future. 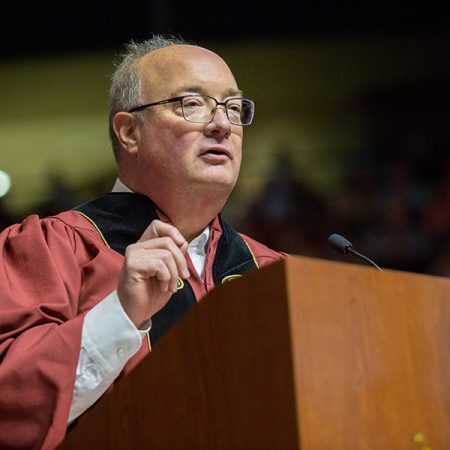 Jim Jenkins, CEO for Sodexo’s Universities North America East — FSU’s dining services partner, encouraged graduates to be proud of themselves, but also to thank their team — their family, friends and other supporters — who helped make their achievement possible. 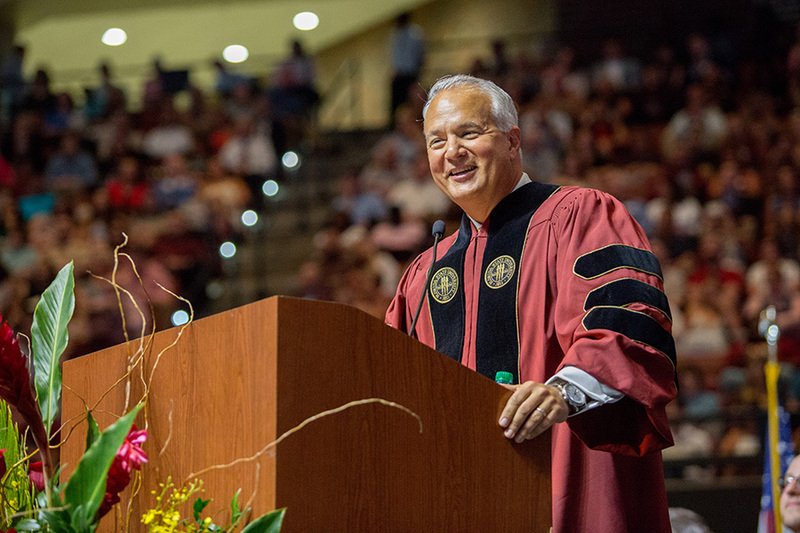 He addressed graduates at both the Saturday morning and afternoon commencement ceremonies. After starting out as a production manager for Sodexo at American University, Jenkins now oversees the company’s United States Universities business, an operating segment of Sodexo’s $9.9 billion North American operations. 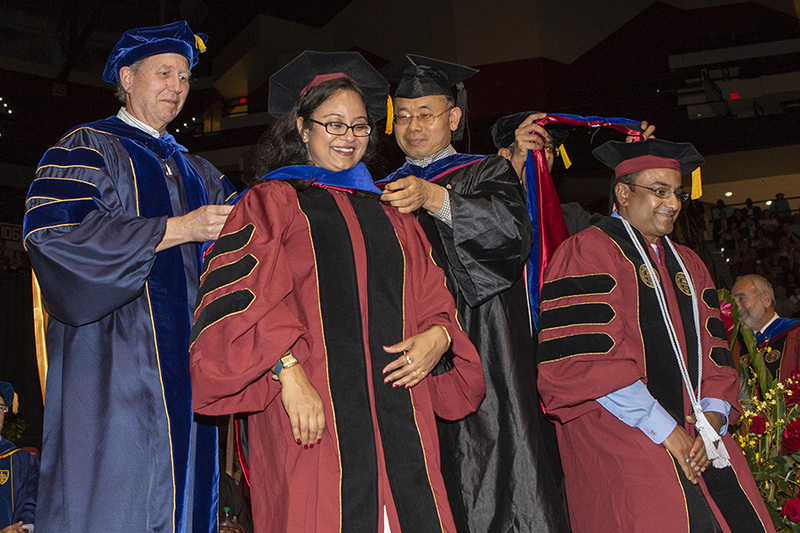 Jenkins told graduates that their hard work was truly just beginning — that a degree was not a ticket to success. He also encouraged graduates to ensure their career ambitions never overshadow the people around them. He closed by encouraging students to make a bucket list and keep adding to the list as they go through life. 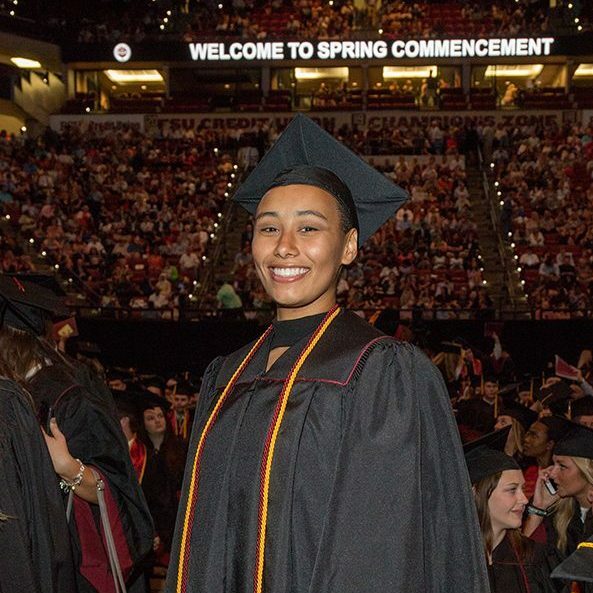 Jenkins’ words resonated with new FSU graduate Mackenzie Teek. 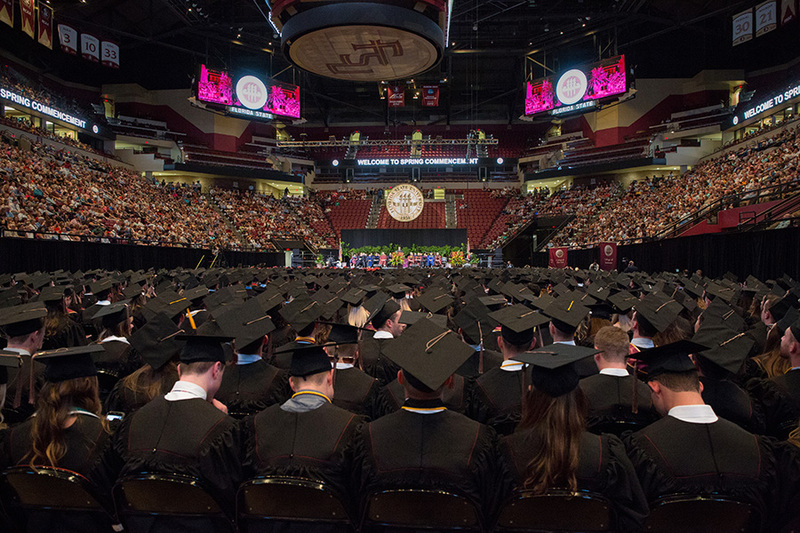 At Friday night’s ceremony, FSU alumnus John Rivers inspired graduates to dream big. Once a successful health care executive who ran a billion-dollar company, Rivers walked away from it to pursue his own lifelong dream of owning a restaurant. Rivers knows about falling down and getting back up. He arrived at Florida State in the mid-1980s barely able to afford the tuition. Since money was tight, it took him five years to graduate with a degree in marketing, but then he stormed into the health care industry and achieved his goal of becoming a company president before he turned 40. In the nearly 30 years since graduating, Rivers said he’s learned key lessons. Now, he knows making more money doesn’t translate into happiness, but doing what you love does. 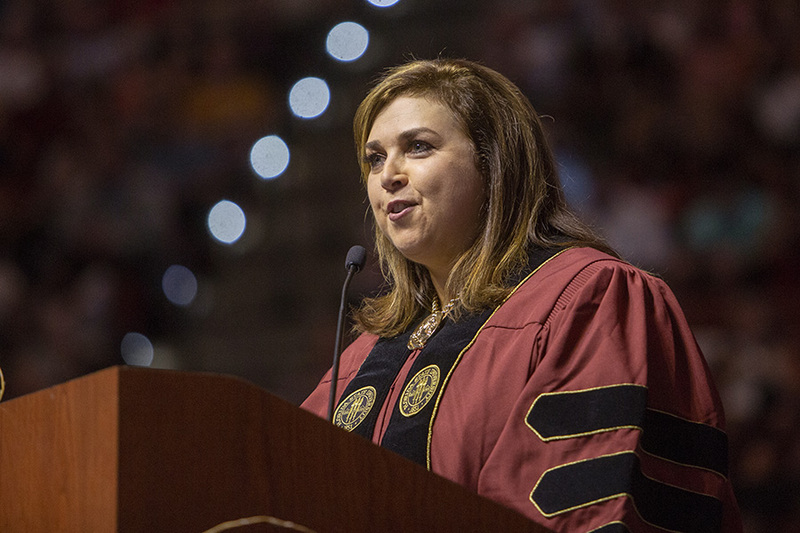 During the Friday afternoon ceremony, alumna Julie Dunn Eichenberg urged graduates to be grateful for the time they’ve spent at FSU. Eichenberg, who graduated from FSU in 1994 with a bachelor’s degree in marketing, is the vice president of Brand Distribution at Turner Content Distribution. 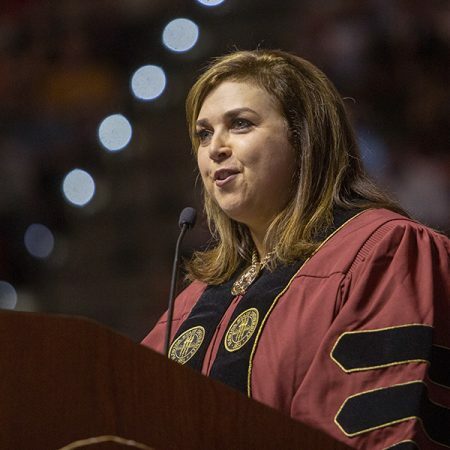 She is an active member of the FSU community, serving as chair of the FSU Foundation Board of Trustees and as a member of the Seminole Torchbearers board. 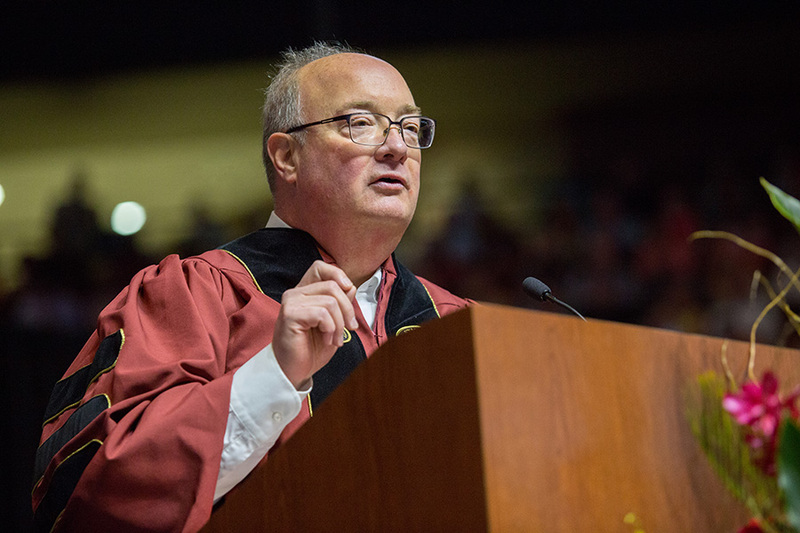 In 2017, Eichenberg was inducted into FSU’s Circle of Gold which recognizes worthy individuals who personify the university’s tradition of excellence. 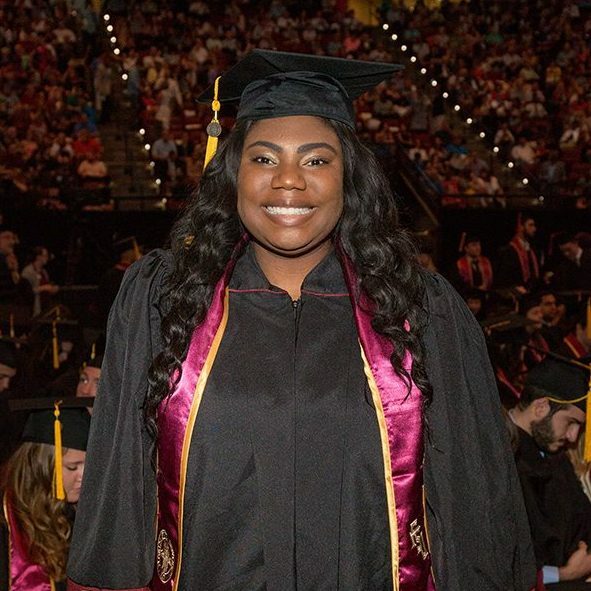 These words hit home for graduate Margarette Swift, a social work major from Orlando, who plans on pursuing a master’s degree and Ph.D. in social work from FSU. Her future plans also include writing a book about her life and starting a nonprofit for victims of sexual abuse. She is extremely grateful for her time at FSU and for the CARE and Unconquered Scholars Programs at FSU, which helped her through tough times. 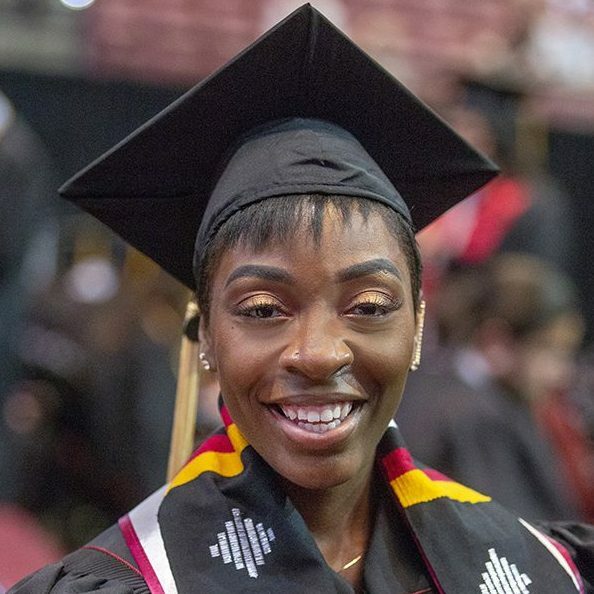 Tiffany Graham, a transfer student from South Florida, took the time to savor the big moment of walking across stage Saturday morning.